It’s time to think about what you want to bring with you to RootsTech. With only two weeks left, you’ll want to download the RootsTech app, choose your classes, download the syllabi, and decide how you’re going to take notes. Here are some suggestions to help you do this (and otherwise enjoy the conference)! This post contains affiliate links. If you click the link and make a purchase, we receive a small commission. Thanks for the support! 1. Tablet/iPad or Lightweight Laptop: Last year I brought a bulky laptop and got really tired of lugging it around in my backpack. It ran out of battery quickly and there aren’t many locations to plug in and charge your devices. Tablets hold their charge longer and use less battery! So, I will either bring my Samsung 7″ tablet (or a lighter-weight laptop). 2. Bluetooth Keyboard: If you’re bringing an iPad or another kind of tablet, you can easily type your notes on it with a Bluetooth keyboard! This Logitech Bluetooth Multi-Device Keyboard also functions as a desk, so you can hold it on your lap like a laptop. Since most of the chairs in the classrooms at the Salt Palace don’t have desks, it would be tricky to use a regular Bluetooth keyboard for tablets. 3. 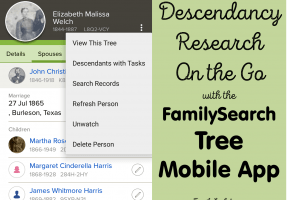 RootsTech Mobile App: With the conference’s official app you can access your personalized schedule and see and room changes and other announcements. You can also network with other RootsTech attendees by publishing your own profile (with whatever info you decide to share) and adding other attendees as friends. The app also allows you to view speaker profiles, view syllabi, and take notes. The note-taking feature doesn’t allow you to write directly on the handout, but takes you to a separate screen to jot down a note (on a small screen) or in a side by side view (with a tablet-sized screen shown right). 4. 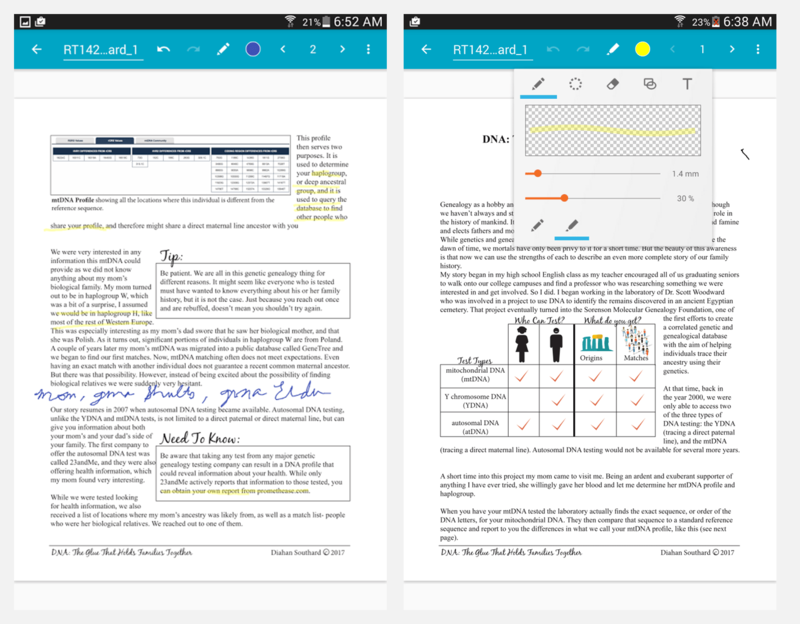 Squid Notes App: This android app lets you import PDFs (for a $1 per month subscription) and annotate them. 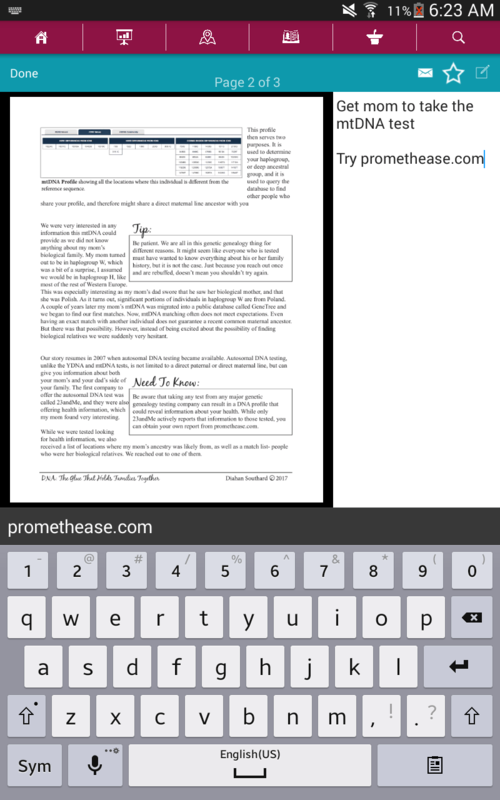 You can highlight, annotate with your own handwriting (finger or stylus), or add text with your keyboard. The app is free but some of the features are premium. Squid allows you to draw other kinds of free form notes as well – like shapes and lines. This app is similar to the popular Lecture Notes App that many college students use. Similar handwriting note taking apps are listed here, like Paper, and Penultimate for Apple devices. 5. Stylus: If you’re using a handwriting app to take notes, you’ll want to bring a stylus. The last tablet case that I purchased came with a stylus but you can also find them at target or amazon. When using the Squid app to take notes on a PDF, you can highlight and annotate much easier with a stylus. 6. Evernote: My mom (Diana) added all the syllabi for the classes she planned to attend to her RootsTech Evernote notebook then used the program to take notes about them. 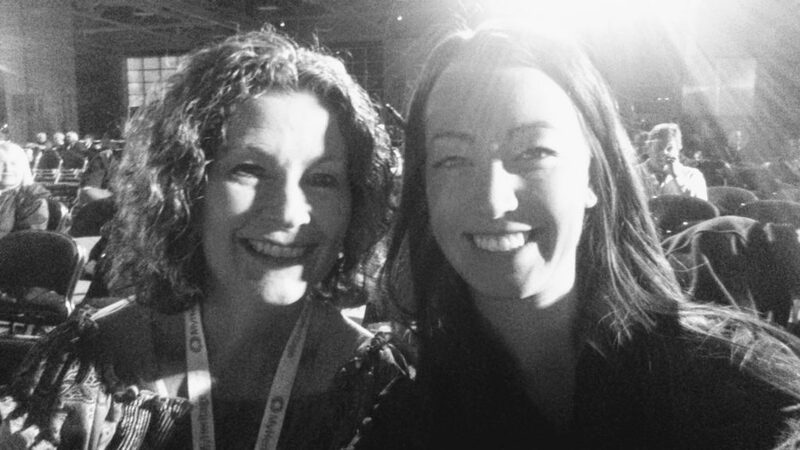 She used her laptop for this and wrote about it here: Wrapping Up RootsTech 2016. Basically she created a note for each handout, attached the PDF, and typed the notes above the image of the attached PDF handout, much like the RootsTech app allows you to do. Evernote recently added a new feature which allows you to annotate directly on the PDF if you are a premium user. You can do this on the desktop version or on the Evernote app! 7. Twitter App: During the first general session at the conference last year, I was lucky enough to sit next to Laurie Conklin who writes Sharing the Past. As we got chatting about blogging, she asked me for my twitter handle. I hadn’t thought about using twitter during the conference, but I’m so glad she mentioned it! One of my favorite parts of RootsTech last year was following others’ tweets and sharing my own. With the hashtag #RootsTech, you can follow along with what the other attendees think of the keynote speakers and get an idea of what’s happening in all the classes in 140 characters or less. If you don’t have a twitter handle yet, it’s easy to create! 8. Portable Battery: You’ll probably use your phone or other mobile device a lot throughout the conference. Last year, I brought a portable battery to plug my phone into to recharge it while I was on the go. This Digital2 brand portable battery is the one I have but there are a lot of options out there. You just need your USB charging cord and the portable battery. If your phone uses the newer USB-C connector (like my Nexus 5X phone – it charges super fast which is great), you might need a Type-A to Type-C USB cable like this one. I use this cable to connect to my car charger also. I couldn’t limit this post to high-tech gadgets and apps. I’ve also also listed a few suggestions for low-tech items to bring. It’s important to be comfortable while you’re at an all-day conference. 1. Pen and Paper: This was my preferred note taking method last year, since my laptop was running out of battery. The drawback is that your notes are not in digital form, but you can take a photo of each page afterward. Since Evernote has OCR, if you’re handwriting is legible, you won’t have to type up your notes afterward. Sometimes I just find it easier to have lots of paper to write whatever ideas come to me (even if they are slightly off topic). 2. Business Card: About a week before RootsTech last year, I met another blogger who was an experienced RootsTech attendee. She told me that it’s helpful to bring a business card to quickly share contact info with new friends. I designed a simple one and printed it on white cardstock the night before the first day of the conference then cut out about 30 of them. This was plenty. It was so handy to give them to people that I met. I put the name of our blog and my email address on it. This year I didn’t procrastinate until the last minute and ordered some from Zazzle’s large collection of vintage business cards. 3. Water bottle and snacks – throughout the Salt Palace, there were water jugs with paper cups. I used the jugs to fill up my water bottle. I’m used to taking a big water bottle with me wherever I go, because, well, I live in Arizona where it’s hot and dry! There are vending machines and other types of vendors to buy drinks and snacks from as well. One day after the general session, Mom (Diana) and I went to the Blue Lemon across the street in the City Creek mall and got take out breakfast to eat at the Salt Palace. Another day, we brought our own lunches. 4. Layers: It’s freezing cold and snowy in Salt Lake City Utah in February. Like I said, I live in Arizona. I was expecting to feel really cold during the conference, so I showed up in my warmest clothing – only to find myself getting hot during the classes. My advice is: don’t dress like you’re going to be outside. Wear layers! The Salt Palace is a comfortable temperature. Also, last year there was a coat check so you don’t have to carry your jacket around with you all day. It wasn’t free but I felt it was worth it. You have plenty of things to carry around already, you don’t want to carry your coat too. 5. Backup Plan: If a class you want to attend is full or if it’s cancelled, you’ll want to have a backup plan so you can quickly get your seat in your second or third choice. Last year, two of the classes I wanted to attend were full. They were in small rooms. You might want to check the classroom size at the Interactive Salt Palace map beforehand and if the class you want is in a small room, make sure you arrive early (i.e. go straight there, no detours – maybe even attend the lecture that’s in that classroom the hour before). Maybe your backup plan is to visit the expo hall instead. It’s a great time to talk to vendors since most everyone else is in a class. 6. A friend: It’s very helpful to have a friend at RootsTech. Although there’s plenty of time in between each class to go to the restroom, get a drink, and walk all the way across the Salt Palace, by the time you get to class, all the seats might be taken. If you want to get a seat in a popular class, try to make a friend. They can always save your seat while you quickly run to the restroom. How do you feel about seat saving? I try not to do it but I think it’s okay if someone is just quickly going to the restroom. 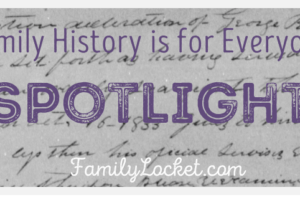 My mom, Diana, the other writer of this blog, was a great friend to attend RootsTech with last year. I learned a lot as we discussed the topics we learned about together and it was one of the funnest mother-daughter times we’ve had! 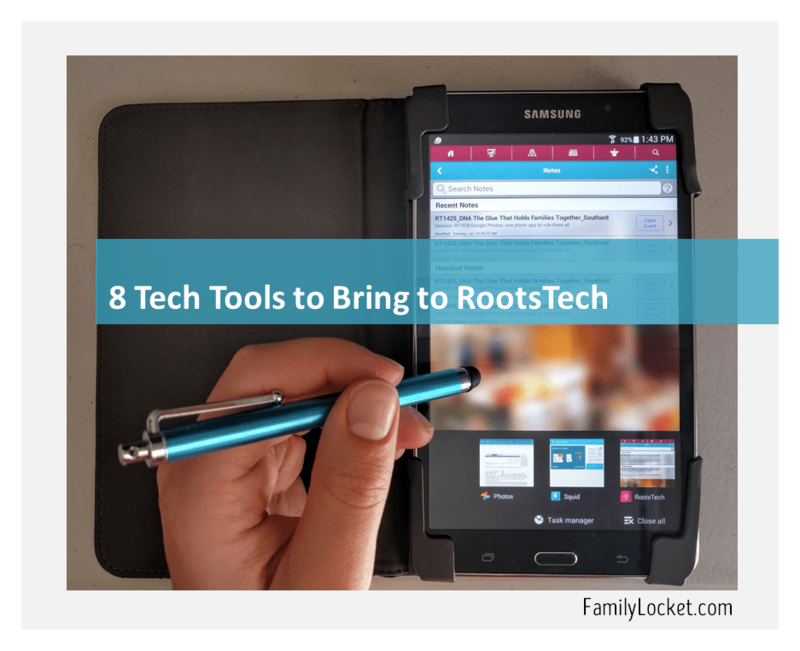 What high-tech and low-tech gadgets and apps are you bringing to RootsTech 2017? If you haven’t signed up yet, you still can. A one-day RootsTech Pass is only $119. Click here to see pass comparison info. As a RootsTech ambassador, I received a free pass to the conference in order to promote the event. I paid for my pass last year, and it was well worth it! And a seat cushion! The chairs at the Salt Palace are terrible! Great tips! I’m glad you mentioned the coat check! I was just thinking of what I’ll have with me each day (trying to find a good backpack or bag) and was hoping I wouldn’t have to lug my coat around everywhere. Yes a good backpack is a must and the coat check is so useful!! Great suggestions! Looking forward to my favorite week of the year!! Hope to see you there. Thanks Jana, see you there!